Hey everyone, did you hear about this local development? BREAKING NEWS! NEW ESCAPE ROOM MERGER PLOT REVEALED! 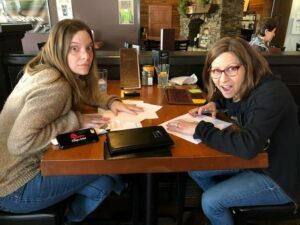 On Monday, local news sources spotted owners Brenda Luper of Reality Break Escapes and Kristine Atri of The Escape Artist while finalizing their negotiations on a new Mega Escape Room merger! 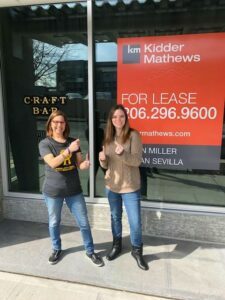 Once caught, the owners revealed that they have been spending the last 5 years developing the “East Meets West” Escape Room at a previously undisclosed location in Downtown Seattle! 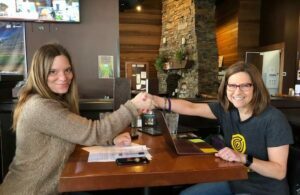 Due to open in the Spring of 2020, these two Escape Room companies will come together and create 12 new rooms, as well as an escape into a bar! This merger, made possible by a high seven figure capital investment by a group of both foreign and domestic venture capitalists is promising to be one of the most technologically advanced and immersive escape room experiences in the world! “The one thing we wanted most was to create an unforgettable experience for participants,” stated Kristine Atri, current owner of The Escape Artist. “We even got permission from the city of Seattle to use some of the service tunnels from the Alaskan Way Viaduct Replacement Tunnel for a sprawling catacombs system as part of one of the more advanced games we have designed”. Happy April Fools Day everyone!!!! — with Krissy Atri and Brenda Luper.